There are five live events being broadcast on FloTrack over the next four days, including the Kansas Relays, Bryan Clay Invitational, Beach Invitational, Michael Johnson Invitational, and the Virgin Money London Marathon. Note: The 2018 Virgin London Marathon is available only for Canadian viewers. Below is a viewing guide to help you keep track of all the action from Thursday to Sunday. All times listed are CT and, remember, meet schedules are subject to change. Races from the Michael Johnson Invitational will be added when entries become available. 4/19/18 6:15 PM Bryan Clay Invitational M 3K SC Troy Fraley, the senior from Gonzaga, was seventh at the NCAA championships in this event last year. Arizona's Bailey Roth was 11th in that same race. 4/19/18 7:30 PM Bryan Clay Invitational W 3K SC The field is headlined by New Mexico's Charlotte Prouse. The sophomore finished 12th at the 2017 NCAA Cross Country Championships and ninth at the 2016 NCAA Championships in the steeplechase. 4/19/18 9:40 PM Bryan Clay Invitational M 5K American record holder in the steeplechase Evan Jager will be racing his first competition of the outdoor season. Lopez Lomong, his Bowerman Track Club teammate, is expected to join him. Other key entrants include professional Futsum Zienasellassie and collegians Colby Gilbert of Washington and Tyler Day and Matt Baxter of Northern Arizona. 4/19/18 10:00 PM Bryan Clay Invitational W 5K Marielle Hall and Amy Cragg of the Bowerman Track Club have both made Olympic teams and should control the race. Sarah Disanza of Wisconsin and Samantha Nadel of Oregon will be looking for times that qualify them to the NCAA meet. 4/20/18 3:50 PM Bryan Clay Invitational M 800 Jeramey Hampton of Georgia is coming off a victory at the Texas Relays. Challenging him on Friday will be Collins Kibet of Arizona and Division II champion Thomas Staines of CSU Pueblo. 4/20/18 4:40 PM Bryan Clay Invitational W 800 400m hurdler turned 800m runner Ashley Taylor of Northern Arizona was one of the revelations of the indoor season when she made the finals at NCAAs. Joining her on the start line in California will be Stephanie Brown, who has run 2:02 and Alisha Brown, who set her personal best of 2:03 last year. 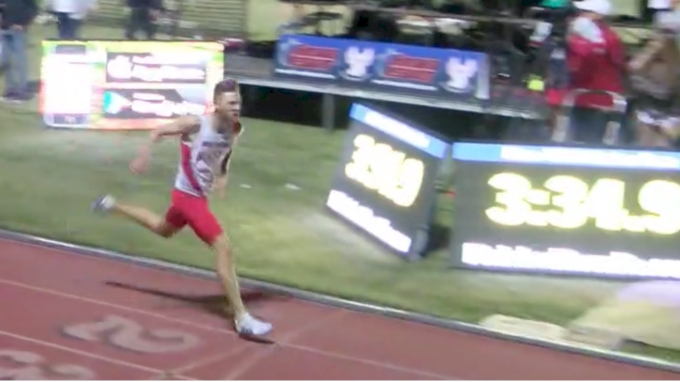 4/20/18 11:00 PM Bryan Clay Invitational M 1500 Big name professional and collegians collide in this race with Ryan Hill, Josh Kerr, Justyn Knight, Eric Avila, Peter Callahan, Andy Trouard, and Sam Prakel. Is the NCAA record in danger? 4/20/18 11:05 PM Bryan Clay Invitational W 1500 There is a heavy Bowerman Track Club presence in this race. Kate Grace, Shelby Houlihan, Courtney Frerichs, and Collen Quigley are all set to compete. Houlihan swept the distance races at the U.S. Indoor Championships and qualified for the World Indoor Championships where she was joined by Quigley. The four pros will be joined by Boise State's Allie Ostrander, Oregon's Jessica Hull, Lilli Burdon, New Mexico's Weini Kelati, and Washington's Amy-Eloise Neale. 4/21/18 11:42 AM Beach Invitational M 1500 Dillon Maggard of Utah State finished fifth in the 3000m and distance medley relay at the NCAA Indoor Championships. 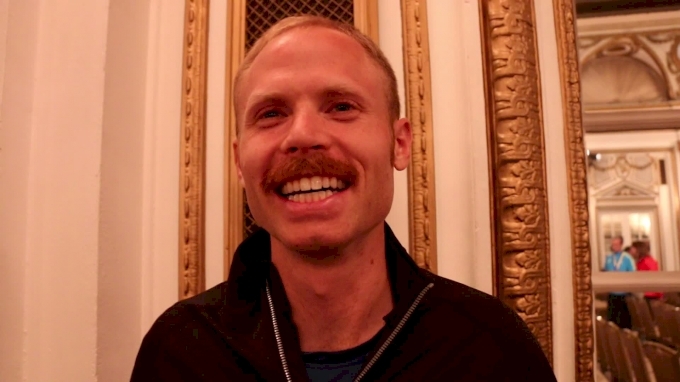 He's competed once this outdoor season—a 29:01 10k at Stanford. 4/21/18 2:09 PM Beach Invitational W 400 Kendall Baisden has a 400m personal best of 50.46 from 2014. The favorite in this race though might be Georganne Moline. The 400m hurdler had a successful season indoors in the 400, running 51.39 and won a gold medal as part of the American 4x400m team at the World Indoor Championships. 4/21/18 3:54 PM Beach Invitational M 100 Olympic long jump champion Jeff Henderson leaves the runway to run a 100. His personal best in the event is 10.18. 4/21/18 4:15 PM Kansas Relays M 800 Myles Marshall of Harvard qualified for the NCAA Indoor Championships and ran a personal best in the 400m last weekend, 47.58. 4/21/18 4:48 PM Beach Invitational M 800 This field is highlighted by Chad Noelle, David Ribich, and Decano Cronin. Ribich is a Division II champion and most recently ran 1:48.09 at the Stanford Invitational for Western Oregon. Cronin competes for Fort Hayes State and placed second in the Division II National Championships indoors. 4/21/18 5:45 PM Beach Invitational M 400H Reginald Wyatt won the NCAA Championships in 2013 and has a personal best of 48.58. CJ Allen competed in the NCAA meet last year for Washington State and made the semifinals at the U.S. Championships. 6:00 PM Michael Johnson Invitational M 400 Baylor's Wil London Jr. qualified for the World Championships last outdoor season and has run 44.47. Obi Igbokwe of Arkansas qualified for the last five NCAA Championships and has a personal best of 45.38. This will be his first individual 400 of the outdoor season. W 100 Phyllis Francis, the 2017 400m world champion, gives this race some star power. Her personal best in the event is 11.55. But there are also 100m specialists in this race, including Angela Tenorio of Ecuador. The 22-year-old ran 10.99 in 2015 and reached the semifinals of the 2016 Olympics. American Candyce McGrone has a personal best of 11.00. M 100 Divine Oduduru of Texas Tech was runner-up in the 200m indoors and looks to be the favorite in this field. During his time at Texas Tech, he's never recorded a wind-legal in the 100m. Roy Ejiakuekwu of Arkansas is also on the start list. He qualified for the NCAA meet last spring in the 200m. M 400 H Puerto Rico's Javier Culson has two medals from the World Championships and one from the Olympics. 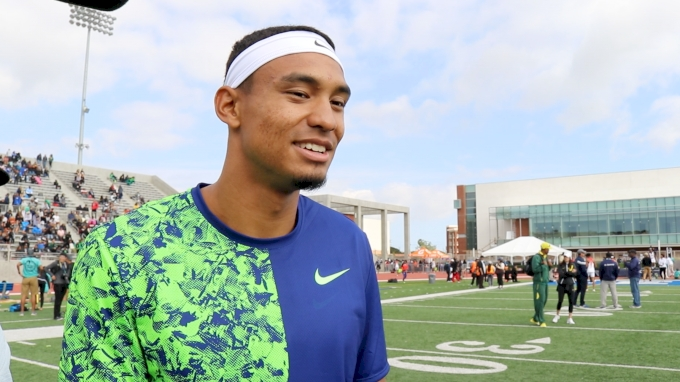 He will be looking to improve upon his 49.91 debut from the Florida Relays. 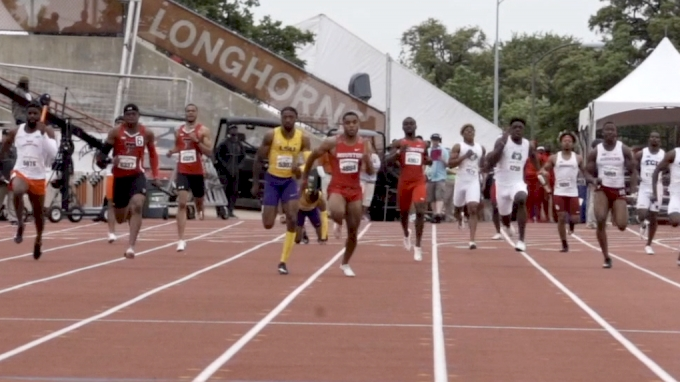 Ilolo Izu set his lifetime best at the Texas Relays where he won the race in 50.00. W 200 This is the second of Phyllis Francis' races on the day. Candyce McGrone is also attempting the double. Those two should get their best competition from Tiffany Townsend who has a personal best of 22.26 from 2013. Maxwell Willis of Baylor is running against four sprinters from Arkansas in this heat, including Kenzo Cotton and Obi Igbokwe. M 4x400 There are strong teams entered from Arkansas, Texas A&M, Baylor and Texas Tech. Mylik Kerley headlines Texas A&M's team, Wil London Jr. is running for Baylor and Divine Oduduru is scheduled for Texas Tech. 4/21/18 7:00 PM Beach Invitational M 200 Chris Jefferson of Sam Houston State has a personal best of 20.61 and qualified for the NCAA meet last year. Other notable entrants include James Cole of North Texas and Malcolm Gardner of Fort Hays State. 4/22/18 3:15 AM London Marathon Marathon The women's race is employing male pacesetters to help Mary Keitany break the world record. But don't overlook the rest of the women's field, including Tirunesh Dibaba. 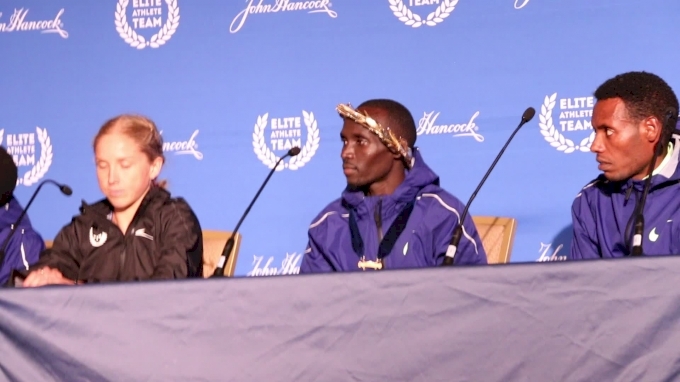 The men's race has a bounty of stars including Eliud Kipchoge, Kenenisa Bekele, Mo Farah, and Daniel Wanjiru.